Gain the skills to build apps, do well in college, and get internships. 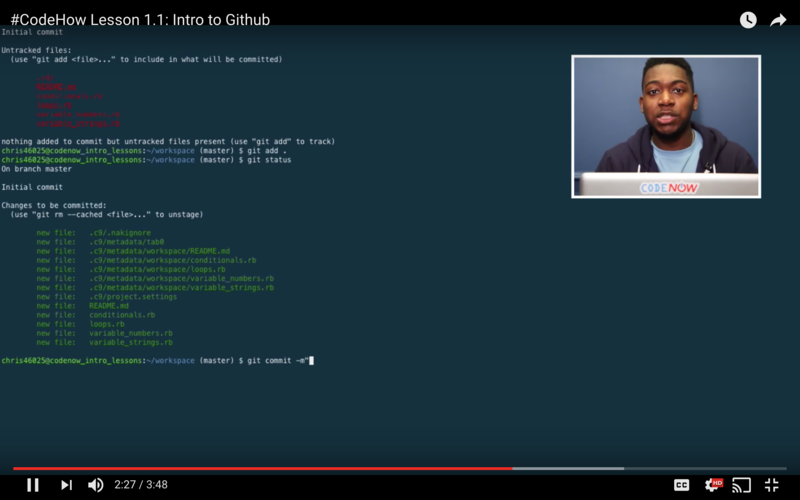 If you're searching for a beginner-friendly program to learn how to code, welcome home. "CodeNow opened countless doors for me. They helped me solidify my career path. 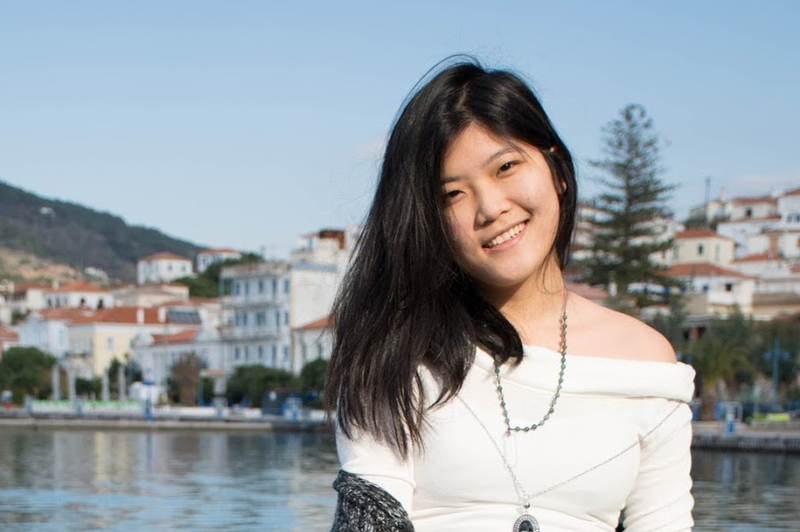 I'm more sure of my ambitions in technology and combined my love for Computer Science (CS) and fashion!" 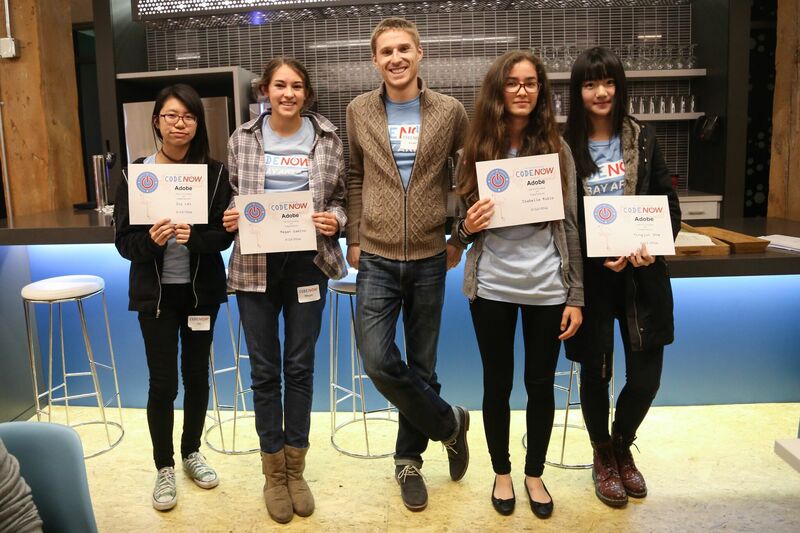 "During the program, things came together and I got really excited about coding. I did not have much of a direction until CodeNow happened." 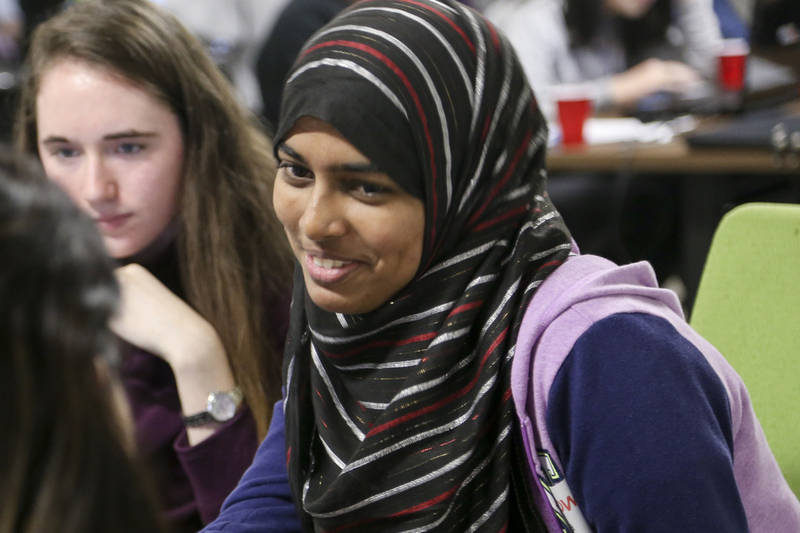 Practice coding at your own pace throughout high school. 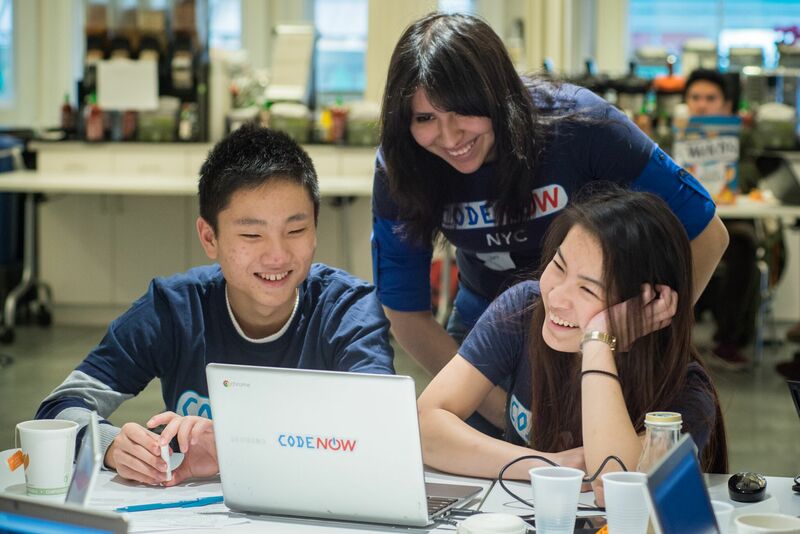 CodeNow is a 501(c)(3) non-profit teaching high school students how to solve meaningful problems through coding. Our program has four levels to introduce you to web design, coding, and how to build your own apps. Over two weekends you’ll learn how to go from an idea to a full-fledged app that you and other people can actually use. By “app” we mean… type in a URL, click on a page, and see something cool and useful happen. Kind of like the apps you use everyday such as Facebook or Twitter. By the end, you’ll take home your own codebase (to brag about and show to your friends and family), and we’ll provide you with a pathway to continue building and learning how to make new projects of your own. Once you’ve completed the workshop we won’t leave you hanging. Now it’s time for you to set the pace for how often you’d like to practice coding and learn more. We’ll provide you with guidance, mentorship, support, and the resources you’ll need to level up your skills over time and on your schedule. 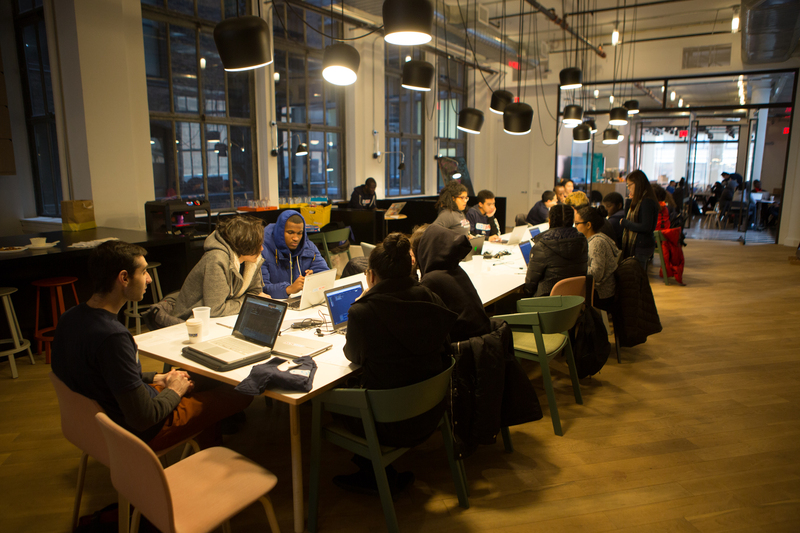 Once you’ve made some progress here, you’ll unlock the ability to participate in one of our hackathons. Ever thought about being your own boss or starting your own company? This is how teenage entrepreneurs like Mark Zuckerberg got their start. They made something they thought was interesting, useful, or fun and shared it with other people. That’s exactly what you’ll do at a CodeNow hackathon. You’ll develop a portfolio of projects and a codebase of work which will prepare you for college and future careers in tech as software engineers, web designers, and product managers. Rather than giving you more material to learn, our job now becomes to help you make your own ideas real! 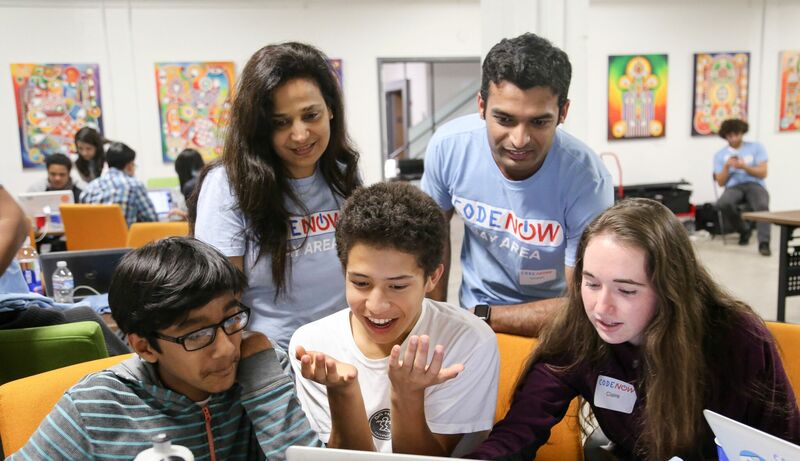 As a capstone for the CodeNow program, you will gain practical development experience through a national summer app competition. By combining all you’ve learned through the workshop, the online courses and hackathons, you’ll bring it all to the table to emerge as a successful designer, programmer, and budding entrepreneur with a portfolio of projects to show for it. There are a lot of options if you want to learn computer science principles to pass your AP exam. 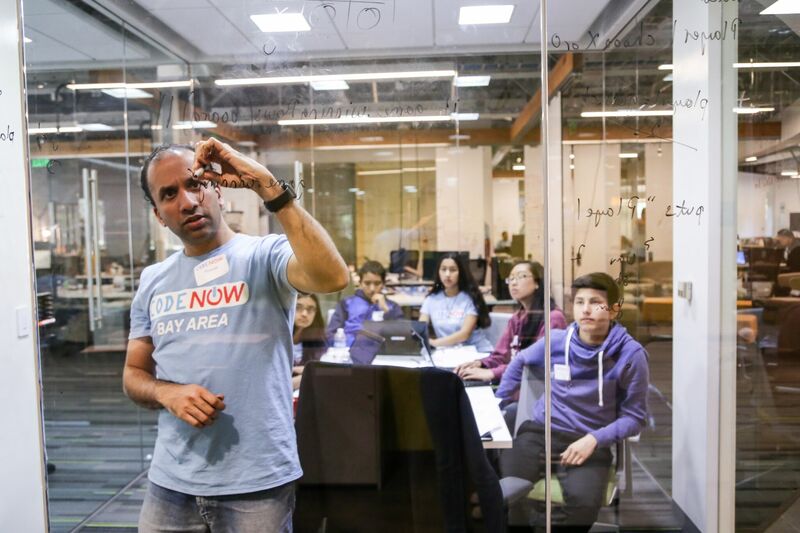 At CodeNow, we’ll teach you how to make apps that you and your friends can use today to do cool and interesting things (you'll also learn enough to do well in your CS classes too). As a non-profit we're supported by grants, donations, and volunteers to teach our students. If you're not a potential student, you can still help by connecting us with a forward thinking company or foundation we should work with, introducing us to young people who are curious about tech, or volunteering for one of our upcoming workshops! 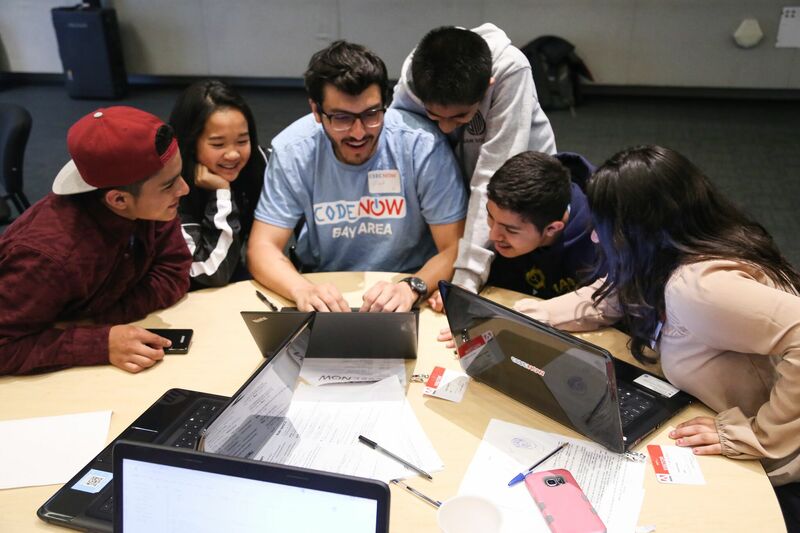 CodeNow has been recognized by the White House, was selected to participate in Y Combinator’s accelerator program as part of their first batch of nonprofits, and has been featured in a number of publications, including TechCrunch, VentureBeat, Fast Company, and The Wall Street Journal. The program’s approach combines weekend sessions, online coursework, and an intensive boot camp conducted over longer school breaks. 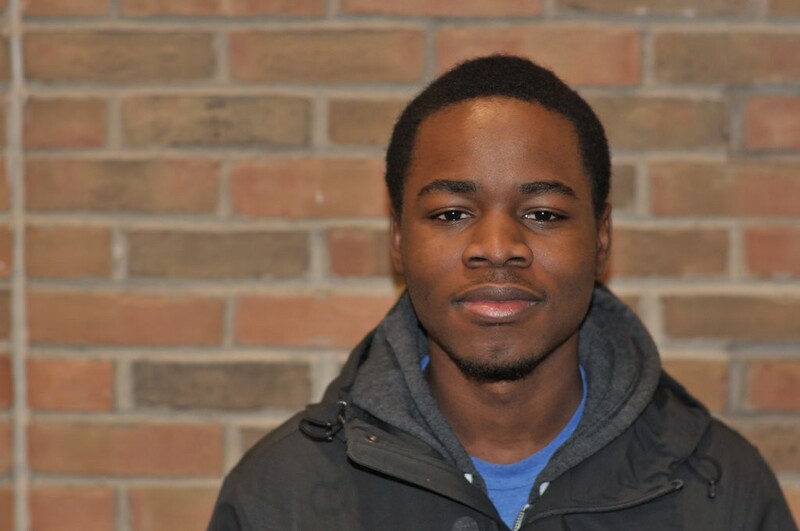 With a CodeNow fellowship under his belt, he's considering an internship with a local gaming company before heading to college. "And if people don't take me seriously," he says, "it's just another chance to prove them wrong when I come out on top. 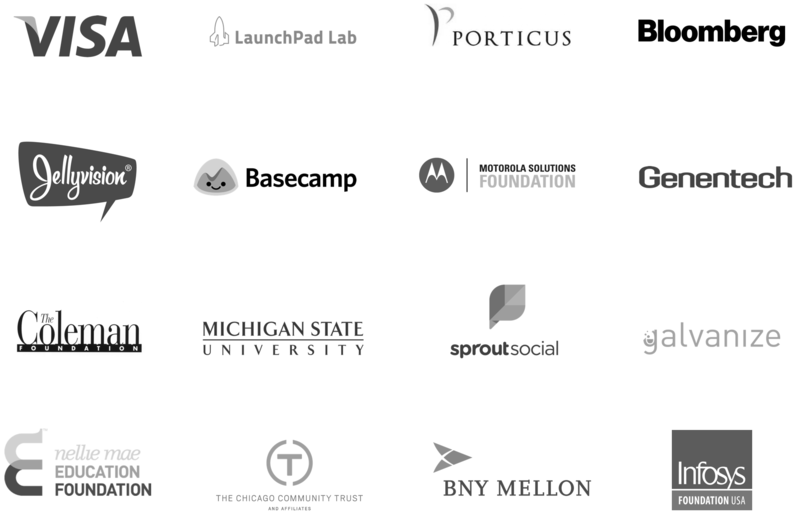 CodeNow works with many cutting edge technology companies and education focused foundations to make our immersive program possible. Below are some of our biggest supporters.